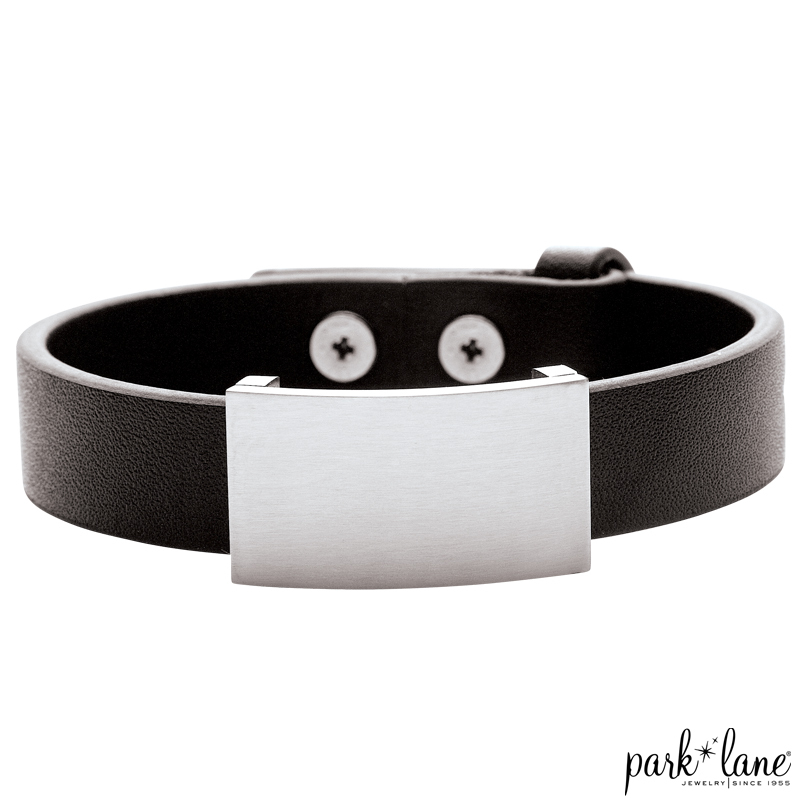 Leather strap with brushed-finish stainless steel ID bar. Peg-style closure adjusts fit. Max length is 8 and a quarter inch. Note: If desired, may be engraved by a jeweler.